The Bourbon Moscow Mule is a bourbon lover’s twist on the Classic Moscow Mule, and has also been referred to as a Kentucky Mule. It’s the perfect mix of Kentucky bourbon, mint, lime and of course…ginger beer. It’s sure to become one of your favorite drinks! 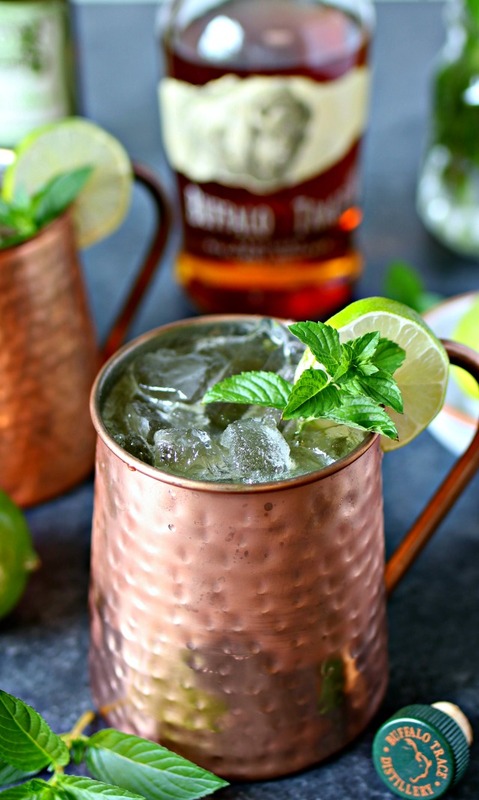 Moscow mules have been around since the early 1940s, but have made a major comeback over the past few years. They have become super popular, and are typically served in copper mugs. They can be made with so many different flavors like our Strawberry Basil Moscow Mule and so many more flavors. Even though they are typically made with vodka, they can also be made with bourbon. People here in KY call this version a Kentucky Mule since Kentucky is known as the bourbon state. Our version is made with one of our favorite bourbons, Buffalo Trace, but feel free to make them with the bourbon of your choice. What’s in a Bourbon Moscow Mule? 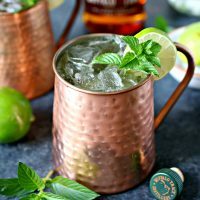 The Bourbon Moscow Mule bourbon lover’s twist on the Classic Moscow Mule, and has also been referred to as a Kentucky Mule. 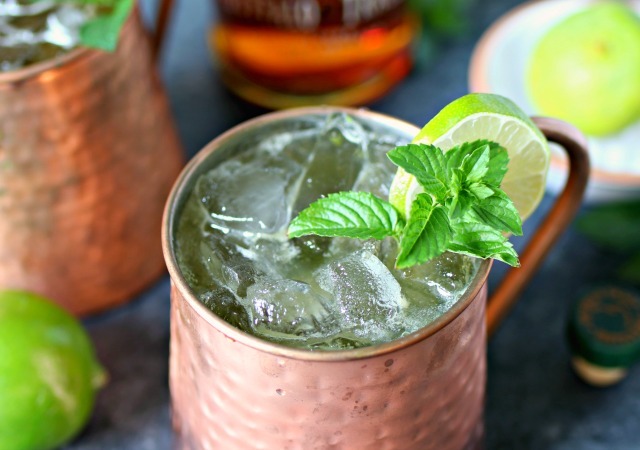 It’s the perfect mix of Kentucky bourbon, mint, lime and of course…ginger beer. It’s sure to become one of your favorite drinks! Add 1/2 ounce of lime juice, 4-5 mint leaves and 2 ounces of bourbon to a copper mug. Fill rest of mug with ginger beer and stir. Garnish with a lime wheel and sprig of fresh mint. 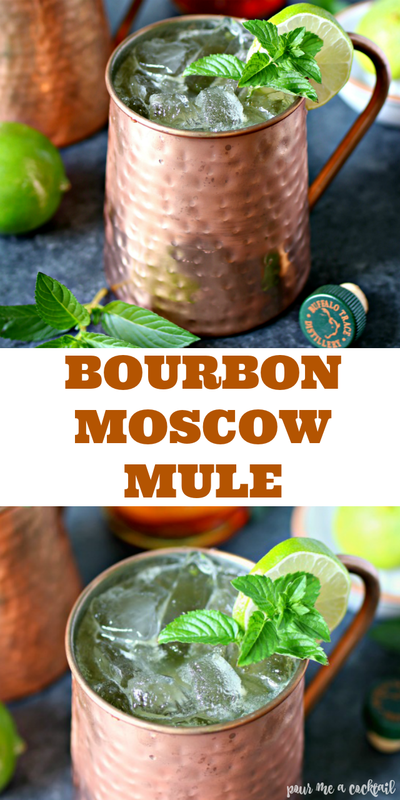 We hope you love this Bourbon Moscow Mule as much as the classic version! 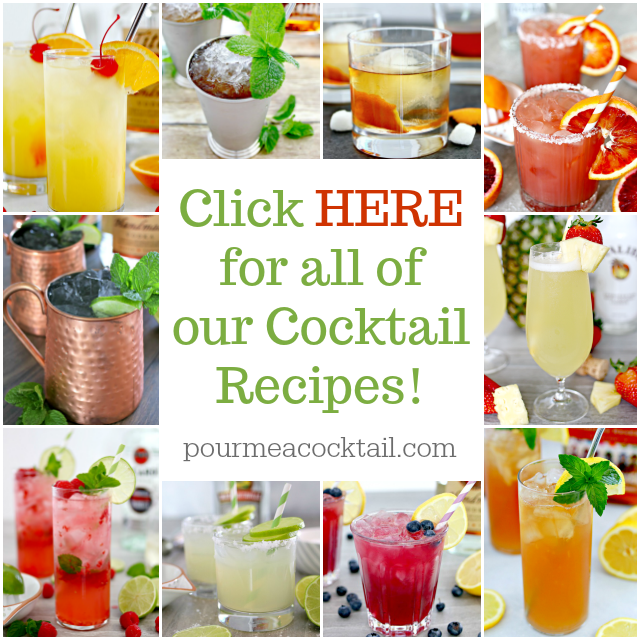 Be sure to check out all of our cocktail recipes HERE in our Cocktail Recipe Index! 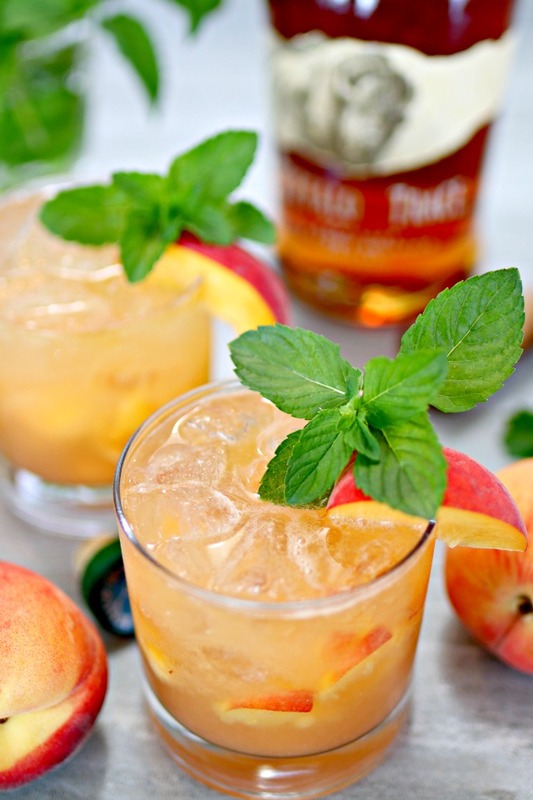 The Bourbon Peach Smash is the perfect mix of Kentucky bourbon and sweet Georgia peaches! 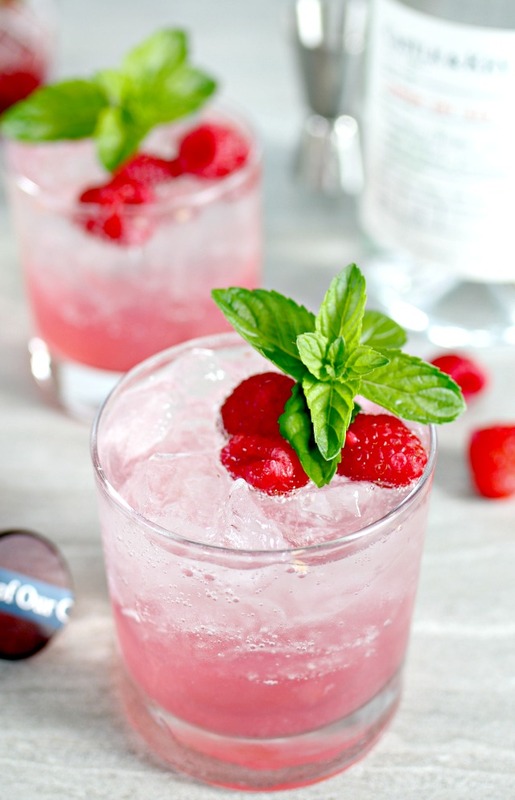 Say so long to gin and tonic and try this Raspberry Gin Fizz instead. It’s really light, but still full of fresh flavor! Looking for the perfect cocktail to enjoy on a hot summer day? 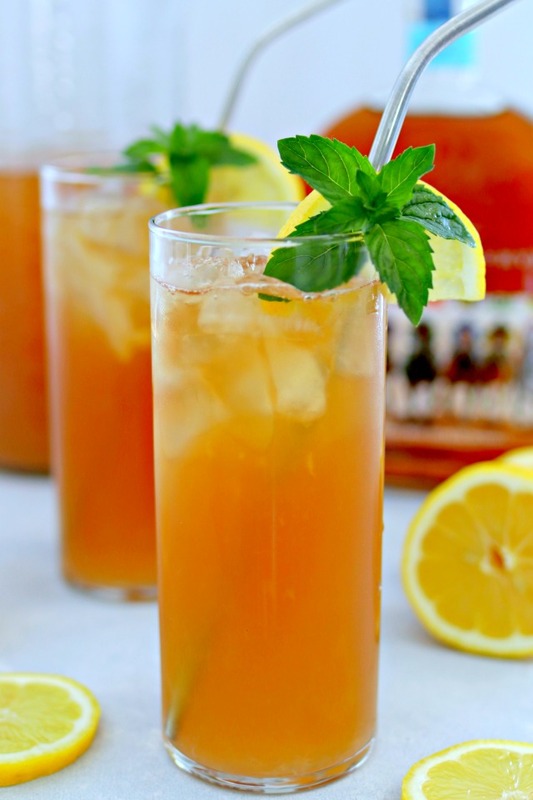 Try this Bourbon Arnold Palmer…the perfect mix of sweet tea, lemonade and of course, bourbon!